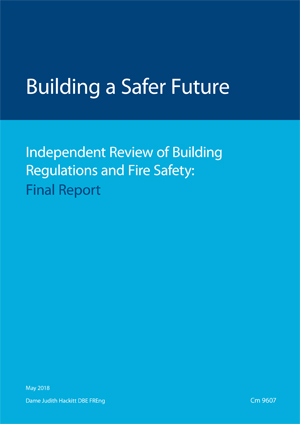 Elmhurst welcomes today's publication of Dame Hackitt's report on Building Regulations in the light of the Grenfell Fire disaster. We agree that building regulations are complex and the current process of enforcement is lacking. The reality is that modern buildings are complex and as consumer expectations increase that complexity will undoubtedly mount. If there is to be a tighter system of safety management then this should be led by independent, accredited professionals from the industry with specialist knowledge whether that be fire safety, energy efficiency or air tightness. We will provide a more detailed analysis of the recommendations when we have had time to digest the report.